The human genome is packaged into chromatin, which is composed of numerous proteins that help control gene expression, DNA replication and repair, and genome stability. In recent years, it has become clear that the deregulation of chromatin structure plays an important role in numerous cancers. 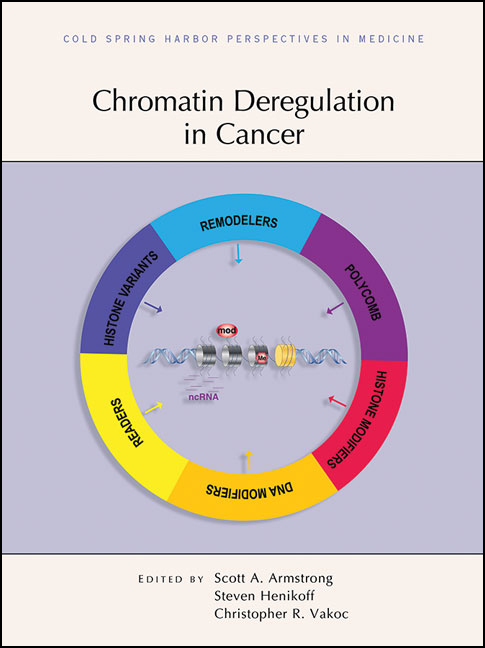 Written and edited by experts in the field, this collection from Cold Spring Harbor Perspectives in Medicine examines the chromatin components that are commonly mutated, what is understood about the mechanisms that lead to hematological malignancies and solid tumors, and prospects for the therapeutic modulation of chromatin. The contributors describe how histone proteins, histone-modifying enzymes, chromatin remodelers, transcriptional regulatory complexes, enhancer-associated factors, and signaling proteins are dysregulated in cancer pathogenesis. In addition, the roles of DNA methylation and noncoding RNAs are covered. The authors also discuss small molecules and other drugs that are currently under development or already used to treat cancer (e.g., HDAC inhibitors and DNA hypomethylating agents). This book is therefore essential reading for all cancer biologists, cell and molecular biologists, and pharmacologists interested in understanding cancer therapies.